The MC 47 is a Mono/Stereo Condenser Microphone with variable pattern function and innovative design – Both capsules can be summed up to mono, which doubles the output level without effecting the selfnoise. 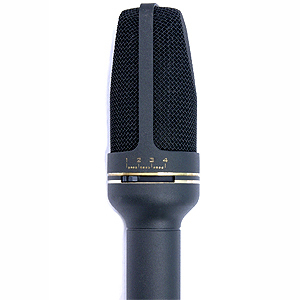 The MC 47 is a very flexible microphone for all professional studio purposes. 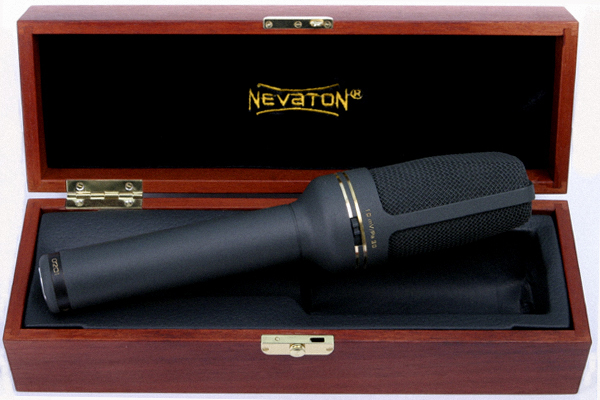 The Nevaton MC47 is a large dual-diaphragm stereo condenser microphone with transformer-less ‘Class A’ electronics. It can be used in mono- or stereo-mode. Stereo-mode offers a variable stereo width – 0° to 90°. 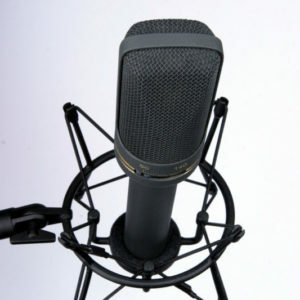 The MC47 is a solid choice for speech in mono-mode, male/female vocals, voice over, and postproduction. It also performs exceptionally when recording acoustic instruments such as cello, acoustic guitar and mandolin. 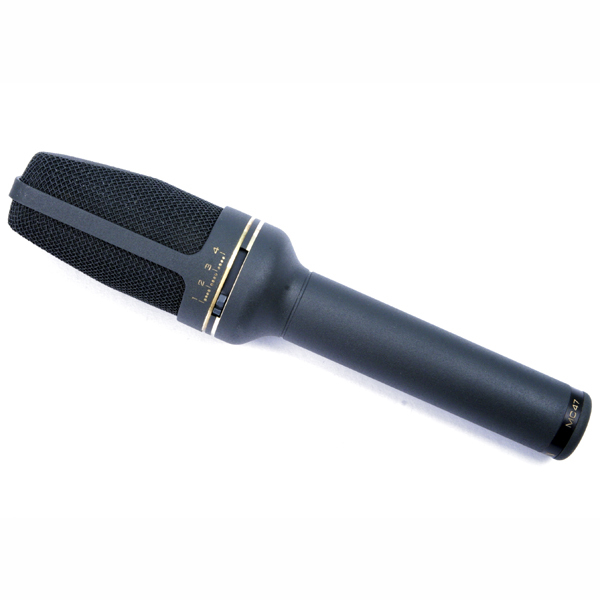 Nevaton’s MC47 can be used as a main microphone for recording orchestras, chamber ensembles, or pop concerts and can be used effectively for ambient field recordings. It is also well suited for applications in radio and television broadcasting. Innovative design – Both capsules can be summed up to mono, which doubles the output level without effecting the self-noise! 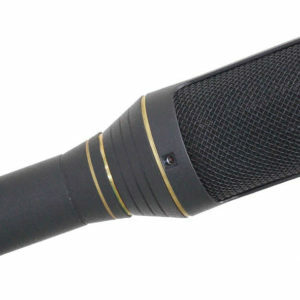 The microphone has an excellent transient response, very low self-noise of only 8 dBA, and can transmit sound pressure levels up to144dB without distortion. The two large 25mm diaphragms can both be summed up to mono, which doubles the output level without effecting the self-noise. The ultra-thin and gold-coated diaphragms are made of 3-micron polyethylene-terephtalate film and give the MC47 a brilliant, transparent sound. All capsule components have passed a special artificial aging process to guarantee long-term stability. The internal construction is elastically mounted to attenuate vibrations and reduce handling noise. Additionally, the capsules are fixed on special dampers to further reduce mechanical noise. A small LED in the front position of the mic indicates the presence of 48V phantom power. All input transistors pass a special selection process to guarantee minimal self-noise. 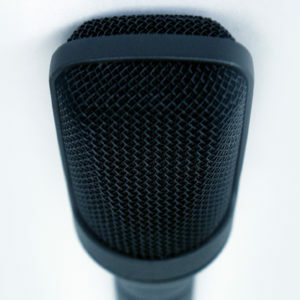 The microphone body is made of brass with a dark grey non-reflective paint finish on an epoxy base. A 3-layer metallic grille effectively protects the transducers from electrical and atmospheric interference and contamination from microscopic dust particles. A gold-plated 5-pin XLR-connector in the base mates with the breakout cable (dual 3-pin XLR connectors). 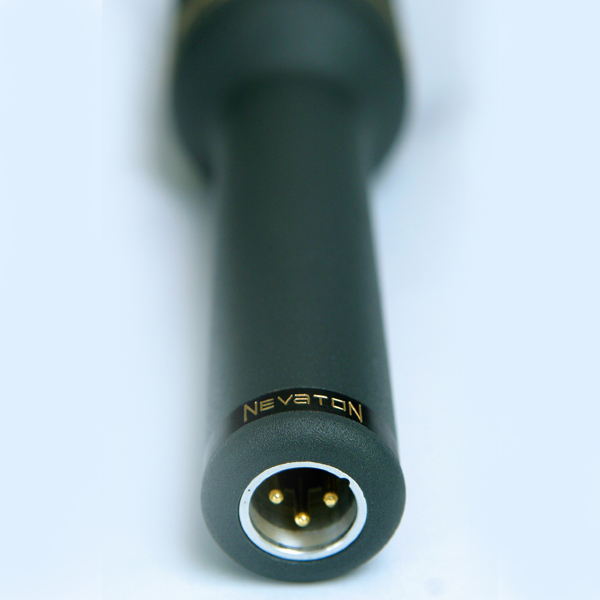 Each Nevaton microphone is supplied with a printout of its individual frequency response, and comes with an output cable in a fine hardwood box.